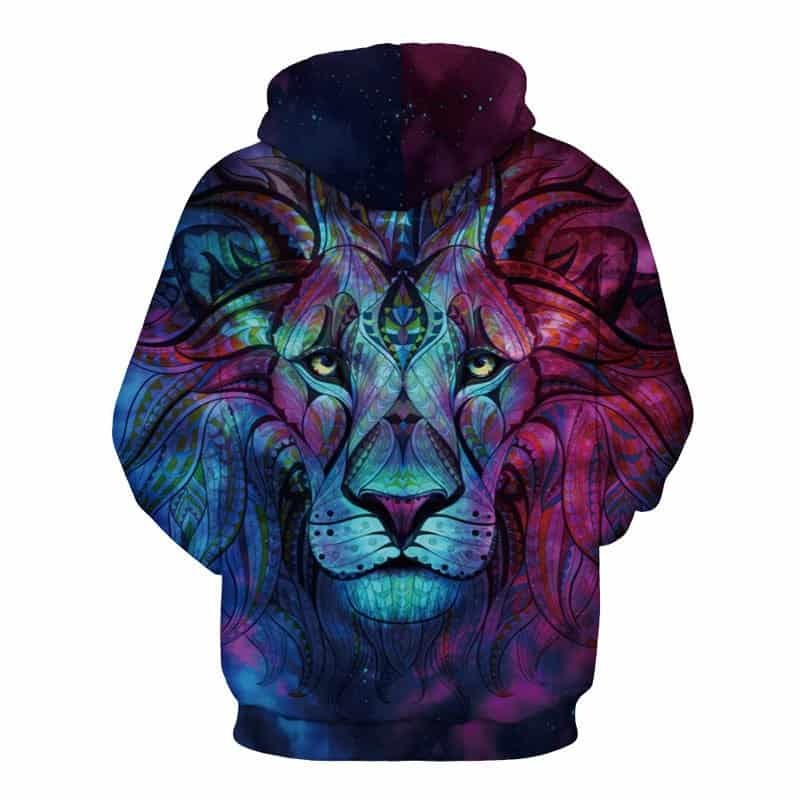 A cool mystic lion hoodie. 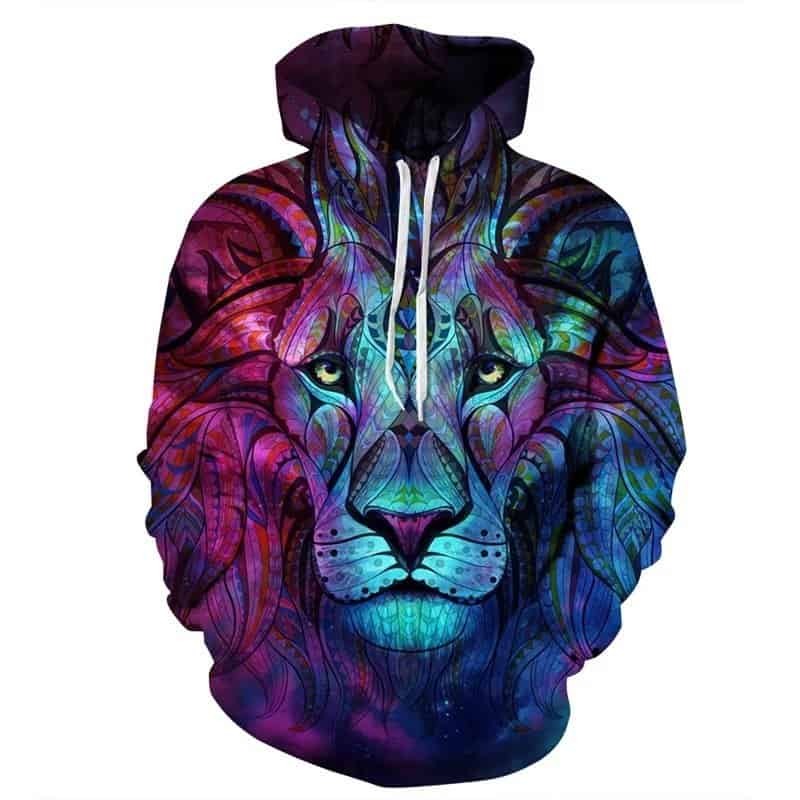 A somewhat trippy look to it, this hoodie is majestical. Purples and blues are used nicely together to bring out the graphic of the lion. A truly beautiful hoodie and a best seller of ours. The hoodie is comfortable to wear, looks fashionable and is wearable anywhere. It was designed for both male and female. Delivered 2 weeks to Estonia. Very vibrant colors and fits well. The colour is exactly how it is in the picture, I really like this sweater. However, I ordered the smallest size and it is still huge on me!!! (im 5′ 6″ and weigh 110 lb). Also, the white hoodie string looks really weird against the vibrant colours but I just tuck them in. The sweater isnt’t very warm, but I can always wear a sweater underneath and i’m fine. Overall I’m glad I got it, because it looks so beautiful. fashion sweatshirt is very nice, free shipping DRAWING Is like a picture. fina Is fabric and CARVING Is pretty big. ha tardado month. come to order. description all-match. fit selected size. and store seller recommend! thank you very much! great product, knitted is slightly better than the polyester and comfortable! baby not bad in quality.